How pseudo is this science? From seashells to hurricanes, the golden ratio is said to exist within all nature’s designs. 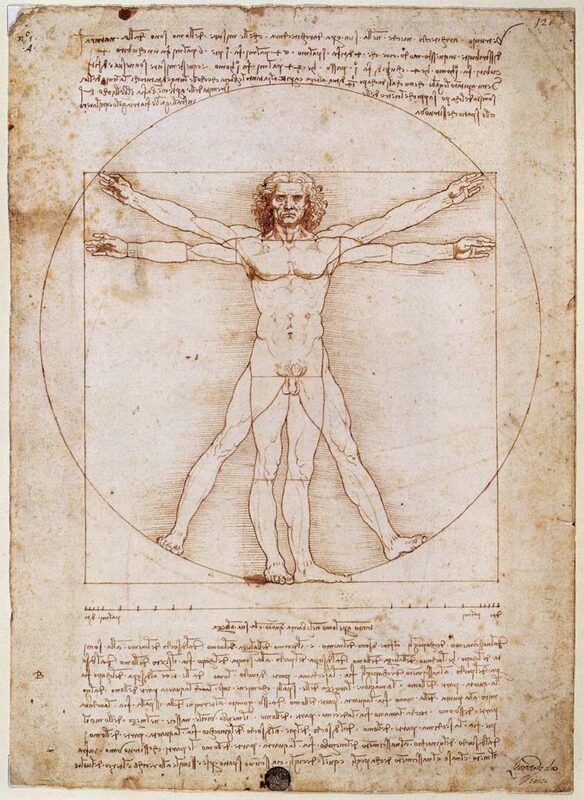 Researchers debate over the significance of the golden ratio within the human body. Some cosmetic surgeons turn to this formula to inform their perception of ideal beauty. Scientists and mathematicians have long sought to crack the code behind nature’s aesthetics. By analyzing proportions and patterns in nature, they’ve attempted to define objective beauty. Some cosmetic surgeons look to the golden ratio as a guide to achieve more aesthetically pleasing results. Others, however, question its validity, especially when it comes to matters of the face. Let’s walk through how the golden ratio was established, how researchers have sought to apply it, and whether it can legitimately inform standards in cosmetic surgery. Imagine a line divided into two parts. The larger of the two parts is labeled “a” and the smaller is labeled “b.” If you take “a” divided by “b” (a/b), then you have one ratio. Taking the sum of both parts (a+b) and dividing that by the larger of the two parts (a) yields another ratio. If those two ratios (a/b and a+b/a) are the same, then you have the golden ratio. In other words, the smaller of the two parts (b) is equal to roughly half the larger of the two parts (a). Numerically, this number, also known as phi, is 1.618. The video below shows how these calculations are performed by some cosmetic surgeons to evaluate their patients’ facial symetry and proportions. The golden ratio interests so many mathematicians and researchers because it’s said to be found in many fascinating places. In fact, the golden ratio is reportedly represented in nature in some unexpected ways. A golden spiral that grows at the rate of 1.618 (phi) is found in nautilus shells, hurricanes, DNA molecules, and even the Milky Way. Many experts agree that there’s something special about this number. However, there are skeptics who say that the prevalence of the golden ratio in nature is overstated. After all, if you’re always looking for phi, then you’re bound to find it sometimes, which leads to confirmation bias. Many historic thinkers, like the 19th century psychologist Adolf Seizing, claim to have found evidence of the golden ratio in the shape of the human body. For example, Seizing claimed that the distance from the tops of our heads to our navels compared to the distance from our navels to the floor came to 1.618. He also found phi represented when comparing the distances between the neck to the navel and the navel to the knees. Leonardo da Vinci is also credited with applying the golden ratio to the human form. His famous sketch, the Vitruvian man (seen below), is said to contain phi throughout the shape and positioning of the body. Not everyone is in agreement about the presence of the golden ratio in the shape of the human body. Mathematician George Markowsky outlined how those who claim to have spotted the golden ratio in the human body are likely using imprecise measurements and inconsistent standards. Yet, detractors haven’t stopped researchers from their quest to determine if the golden ratio represents an ideal standard in beauty. Now, what does this special number have to do with the human face? The width of the face versus the length of the face. The distance between the eyes and the mouth versus the length of the face. The distance between both eyes versus the width of the face. The distance between the top of the nose and the center of the lips versus the distance between the center of the lips and the bottom of the chin. The distance between the eyes and the bottom of the nose versus the distance between the bottom of the nose and the chin. This only scratches the surface. A quick Google search will yield dozens of faces overlaid with golden rectangles showing phi in the proportions of the lips, cheeks and even the teeth. Some proponents of the theory, like Dr. Stephen R. Marquardt, have even created “beauty masks” based on the golden ratio to help measure the attractiveness of individual faces. Many other cosmetic surgeons use the golden ratio to inform their practice. In fact, Dr. Julian Da Silva of London used the Golden Ratio to conclude that actress Amber Heard is objectively the most beautiful woman in the world. Of course, that would require him to have measured the face shape of every woman on the planet – but that’s neither here nor there. There’s no clear consensus on whether or not the golden ratio is the most aesthetically pleasing standard of beauty, let alone whether it lends itself to the perfect face. A 2007 study sought to determine whether the golden ratio was truly more aesthetically pleasing than other proportions. In the study, researchers showed test subjects images of sculptures from classical and Renaissance art. The images were altered such that some displayed the golden ratio while others didn’t. Test subjects were asked to rate the attractiveness and proportions of the images while their brains were scanned using functional MRI to note which parts of the brain responded to which types of images. The researchers concluded that the golden ratio was more aesthetically pleasing based on how the viewers responded to the images. On the other hand, a 2015 study found no correlation between artwork displaying the golden ratio and viewer preference. The researchers went so far as to suggest that it’s time to give up the ghost when it comes to applying the golden ratio to beauty standards. Of course, it’s difficult to objectively compare the two studies when the artwork used varied in both cases. Still, many researchers seem fixated on the idea that beauty is objective and therefore can be measured. A 2011 study claimed to have found the “new golden ratio” for facial features. They compared the distance between the eyes and the mouth to the length of the face. They also compared the distance between both eyes to the width of the face. In both cases, the most aesthetically pleasing result was not the golden ratio. The researchers concluded that the preferable dimensions constituted a new golden ratio. Their findings have been incorporated into modern theories about the golden ratio and the objective measurement of beauty. However, if this research tells us anything, it’s that our preferences when it comes to facial structure are not consistent enough to lend credence to any measurement. Sure, those who seek to measure beauty can continue to update their methods but that only serves to prove how impossible it is to come up with objective and infallible measurements. How much of a role should researchers really play in determining valuations of physical beauty that speak to our self-worth? At the end of the day, it’s what gives us confidence that makes us feel beautiful, and that’s more valuable than a nose fitted to golden proportions. A prospective cosmetic surgeon may have some theories about what would make you more attractive. Given their experience, it’s worth considering this valuable insight. However, just because there might be some numbers behind a theory doesn’t make it a hard and fast rule. » Discuss your aesthetic goals with a cosmetic doctor near you. Upload pictures, ask questions, and get individualized, private feedback for free using Zwivel’s virtual consultation tool.